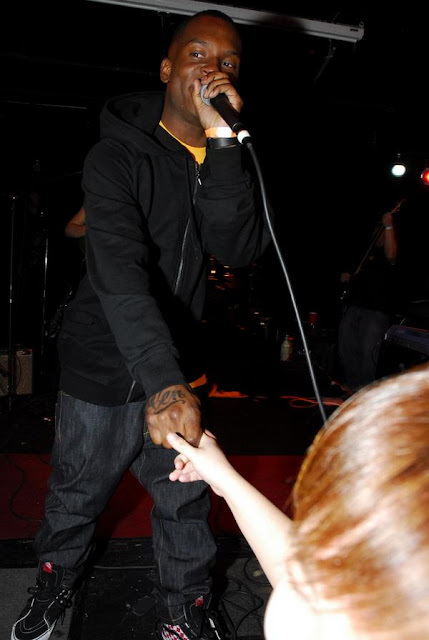 Fashawn recently became of drinking age, but he has already had more experience than most. Born in Fresno, at a young age his father was incarcerated, while his mother dealt with substance abuse issues. After spending time in a foster home, his uncle took him, and pushed him in school. His interest in books grew, and he began writing poetry, which soon turned to rhyming and rapping. By eighteen he had released several mixtapes, building a buzz in anticipation for his debut. Before he began his tour promoting his debut album, Boy Meets World, SFCritic spoke with Fashawn. SFCritic (SFC): You’ve been rhyming since you were twelve did you always know you wanted to rap? 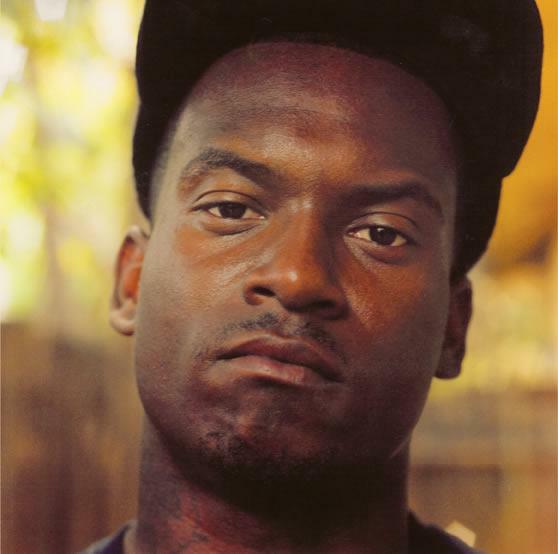 Fashawn (F): No. I always loved rapping ever since Snoop said “1-2-3-4,” I was repeating lines, but I didn’t start writing my own lyrics until I was twelve. SFC: When you were young, what were your favorite books? F: One of my favorite books was called “Raising Fences” by Michael Datcher. I loved “Art of War,” by Sun Tzu. “Where the Wild Things Are,” was the first book I picked up. I hear they got a movie out. I’m going to check it out. F: I was told that most of the great leaders read this book at some point. People look to me as a leader so I just felt like I need to read that. SFC: How do people look at you like you need to be a leader? F: In my community everyone seems to listen or have an interest in what I have to say, what I’m wearing, or what I’m doing. They just follow what I do, I don’t tell them to. I just try to lead by example. SFC: How long has that been going on? F: Ever since ’06, is probably when it started. I started calling my town, which is Fresno, Grizzly City. Before I knew it, I seen half of cats with “Grizzly City” tattooed on their stomachs and arms. That is where it started though. SFC: Were your parents supportive of you becoming a rapper? F: Yeah. My mother especially was because she was an artist as well. She used to sing backgrounds for other people, and things of that nature. I guess my uncle, which is my father figure, always told me to stay in school and get my education. He always wanted me to put rap to the back, so to speak. After, Boy Meets World dropped he’s been excited. SFC: You’ve stated in a previous interview you are not a hipster rapper or a gangsta rapper, how so? F: I guess people would categorize hipster rap just by how people look, skinny jeans and fashion rap. I was never that. In my music I never put the emphasis on clothes. I won’t talk about my supers or my skinnies that’s how I saw myself as not being a hipster. As far as gangsta music, I come from the West Coast and we created that whole feel. I don’t think I bring that same nostalgia as Ice T–Ice Cube specifically, because he would be the epitome of gangsta rap. I don’t think my music really provokes that kind of energy that makes people want to grab AKs and rally through the streets. I don’t think my music is gangsta in that sense. SFC: What’s the Fresno scene like today? F: The scene is pretty good. We got graffiti crew, b-boy crews, but it’s not like how it was in ’99. I can say that because I’ve been here, I witnessed it. It’s not the same kind of energy. Just seeing the whole evolution of rap a lot of things have changed. SFC: What was it like in ’99? F: We would always have events like this thing called, “Urban Combat.” B-boys would come, and everybody involved in the hip hop community in central California would go to these places, Urban Combat, Street Rock, Hip Hop in the Park. It’s not like that anymore. I remember walking the streets, coming home from the school, people would just bomb the walls on liquor stores and it would be okay. Now I ride by these same walls, and it’s just painted over blank, the flavor is not there anymore. SFC: That’s surprising because I feel like graffiti has more of a mainstream appeal these days. F: Maybe that’s why they painted over it. SFC: Are you familiar with Zion I? F: Yeah, I work with Amp Live. SFC: Zion I had a song called the “The Bay,” where he rapped about other places taking Bay Area slang, and the Bay never getting the credit. Do you feel that’s been true for Fresno? F: No, I wouldn’t say that. I don’t think people really steal from Fresno, because a lot of people don’t even know that we exist. I don’t think we blew up in the mainstream for people start biting us. SFC: Do you ever feel caught in NorCal and SoCal mix? F: Yeah, I’m right in the middle. I’ve seen both of those movements. The Bay Area movement swept through my neighborhood, and I’ve seen LA cats sweep through. SFC: Where do you fit? F: I think I fit right where I’m at. SFC: Why did you choose to stick with Exile to produce the entire album? F: Good question. I stuck with Exile because he’s like Martin Scorsese. His music really reflected my life. Even if you take all the lyrics off, and played just the production, it feels like riding through Fresno, or living in Echo Park or Venice. It’s the same feelings that reflect my life. I don’t think anybody else could have done that, just because of the chemistry I had with Exile. SFC: In your interview 2007 with hiphopmagazine, you were asked where you want to be in two years. “I want to be on my hustle.” You seem to be sticking to it, so where do you want be in two years from now? F: I want to be in a new house. I want to be still making music. I just want to be alive, and be present. SFC: Let’s dream, where’s this house going to be? F: This house would be in San Francisco. Love San Francisco. It would be close to Haight Street but not specifically on Haight Street. Making babies! SFC: You got anyone you want to be making babies with that you want to talk about right now? F: I don’t know if I want to make babies, but making other things. You know just going out and having tea. I have the hots for this girl named Esperanza Spalding. She has this afro. She plays bass. She rocks with The Roots and Barak Obama at his house. She’s a cool chick. I want to meet her, and have sit down among other things. SFC: After hearing you want to end up in San Francisco, and having read somewhere that if you didn’t rap you’d be a journalist, any interest in writing with me? F: Yeah man, let’s go out and do some documenting and do some journalistic stuff. Let’s do some wild stuff like go to Africa, and talk about the water situation. 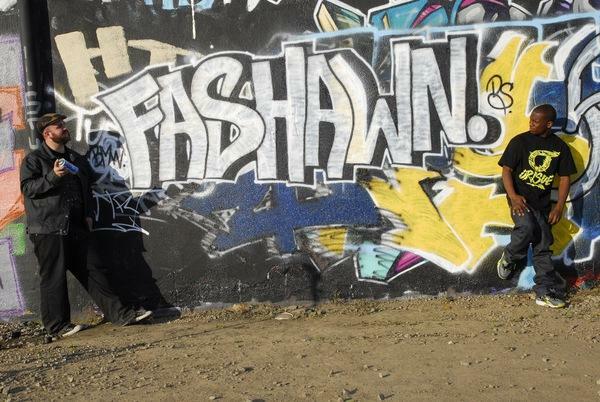 Fashawn will be playing at Slim’ Nightclub on Dec. 10th. Tickets are $18, and doors open at 8PM, while the show begins at 9PM.